Miri – 6 November 2018 – With campuses based in Western Australia, Malaysia, Singapore, Dubai and Mauritius, Curtin University gives many international students the freedom to receive a world-class, accredited education that’s much closer to home. 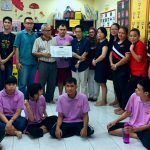 It also gives potential students the chance to choose the environment best for them, from the lush rainforests of Sarawak in Borneo to the bustling business hub of downtown Singapore. Whichever campus they choose, they are guaranteed to receive a truly global education experience. 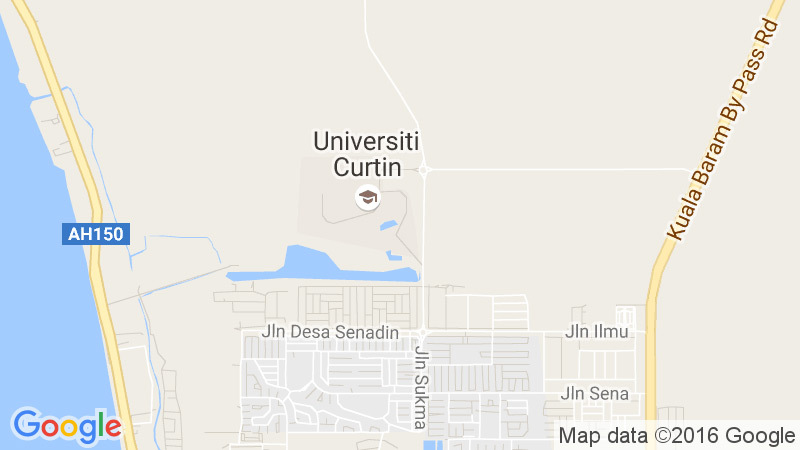 Curtin’s world-renowned courses in engineering and science, business and humanities, coupled with a completely unique student experience in Sarawak in Borneo, has helped Curtin University Malaysia (Curtin Malaysia) attract students and scholars from all over the world. In recent years, the campus has seen a steady growth of students from across Asia, the Middle East and Africa, as well as from countries in Europe. With five national parks at its doorstep, including the incomparable 187,000 hectare Miri-Sibuti Coral Reef National Park just offshore and Gunung Mulu National Park, a UNESCO World Heritage Site a 25-minute flight away, the campus is a gateway to all of the incredible adventures to be had in East Malaysia. Whether you are at the campus for a semester, your undergraduate degree, one of its short courses or postgraduate study, it will be an experience you will never forget. Curtin Malaysia’s strong links with industry across Malaysia enhance the learning process and present opportunities for work-integrated learning, collaborative research and industry engagement. Its active engagement with the broader community has also help build an interactive approach to learning, as well as the all-round student experience. Curtin Malaysia offers the same innovative and internationally recognised courses designed with direct input from industry as those at Curtin’s main campus in Perth and at its other international campuses. 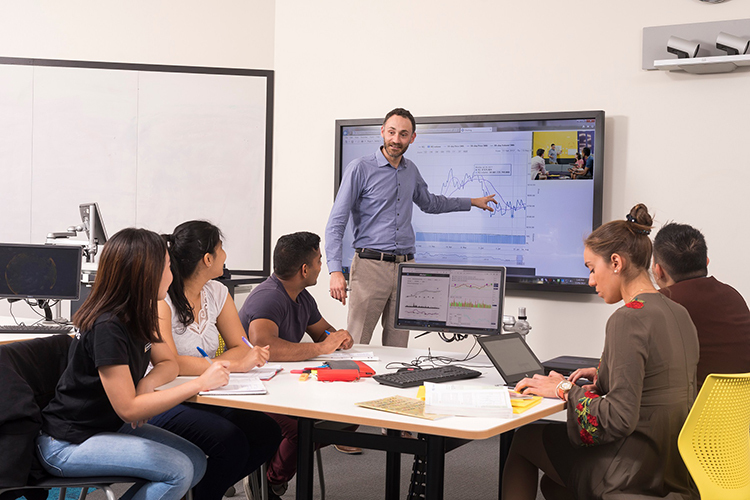 Many of the courses are in subject areas where Curtin is highly ranked globally, such as in the QS World University Rankings by Subject where Curtin has 8 subjects ranked in the top 100 and 16 ranked in the top 200 worldwide. Among universities worldwide, Curtin University is ranked in the top one per cent of universities in the Academic Ranking of World Universities and 250th out of over 30,000 universities worldwide in the QS World University Ranking. It is also ranked 20th globally for universities under the age of 50 in the QS World University Rankings and received a ﬁve-star overall excellence rating in the QS Stars rating. 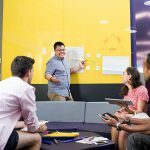 Curtin Malaysia also provides an undifferentiated and uniquely Curtin student learning experience utilising the latest learning technologies and pedagogies, as well as the university’s strong online learning resources and student support mechanisms. This includes distributed learning where students at the Malaysian campus learn simultaneously via live video feed with their counterparts in Perth. “We are all for helping Curtin University achieve its vision to be a global leader in education and research. Everything we do at Curtin Malaysia is aimed at strengthening the university’s global reputation. 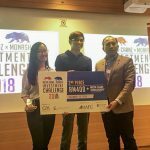 The stronger our reputation, the more we will be able to attract and retain the type of students and staff who will strengthen our reputation in the future,” said Curtin Malaysia’s Vice-Chancellor, President and Chief Executive Professor Jim Mienczakowski. On preparing graduates for an increasingly global labour market, he said Curtin pays a great deal of attention to how it prepares its graduates to ensure that they have the necessary skills, attributes and knowledge to be successful in their chosen careers. He said Curtin Malaysia understands the challenges students face and works hard to provide them opportunities to enhance their university experience. 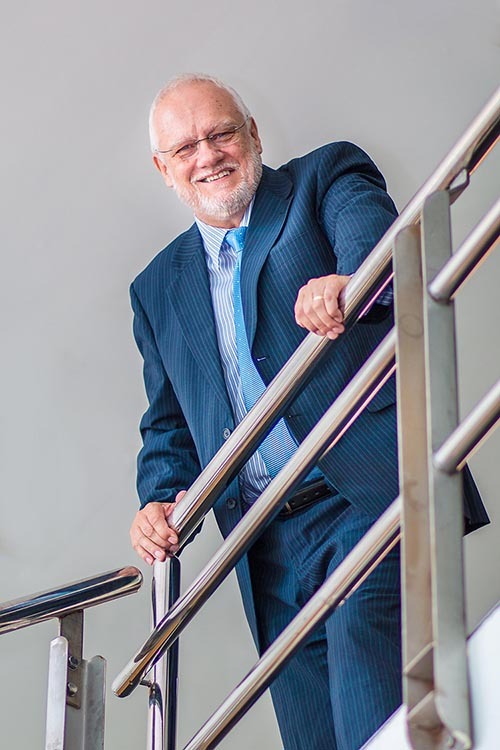 “We focus on complementing students’ discipline-specific knowledge with opportunities to engage in work-integrated learning so that they are job ready, and with opportunities to gain the skills that employers are seeking through access to both leadership development opportunities and international experiences,” Professor Mienczakowski commented. According to Professor Mienczakowski, the Curtin Malaysia campus is a hive of activity, with a wide range of sports, social clubs, events and activities for students. Students can enjoy meals with their friends in the food court, play Frisbee on the sprawling grounds, work out in the gym or join a yoga class, browse the library or just take in the breathtaking equatorial sunsets after a day of classes. It is a place of inspiration and innovation, a welcoming, multicultural environment with technology-rich learning spaces and many opportunities to meet new people. Serviced by its own transport network and with a wide range of services and support facilities, students will easily settle into studying at Curtin Malaysia. There are on-campus food, retail, bookshop, housing, health and counselling, postal and banking facilities to help students make the most of their study time. Professor Mienczakowski also highlighted the fact that students at Curtin Malaysia pay Malaysian fees, which are a fraction of what is charged for the same courses offered in Australia, and they have the option to complete their degrees at the main campus after a year or two at Curtin Malaysia. “That way, they get the best of both worlds and an even wider global experience,” he said. 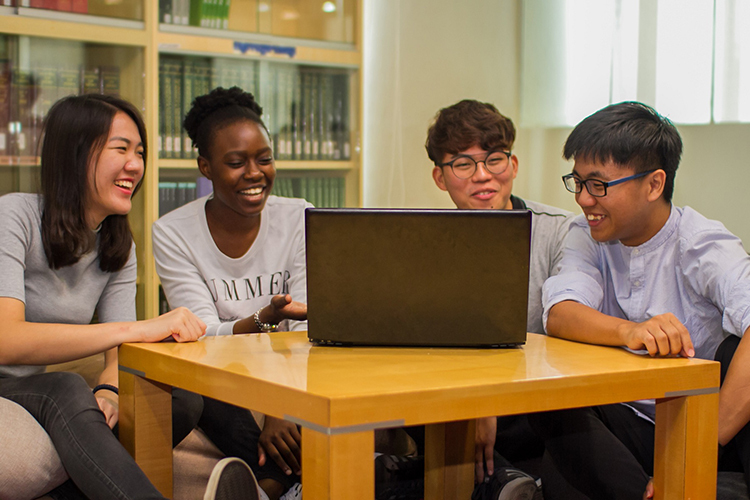 Students at Curtin Malaysia study the same courses as Curtin students in Australia and other Curtin international campuses. 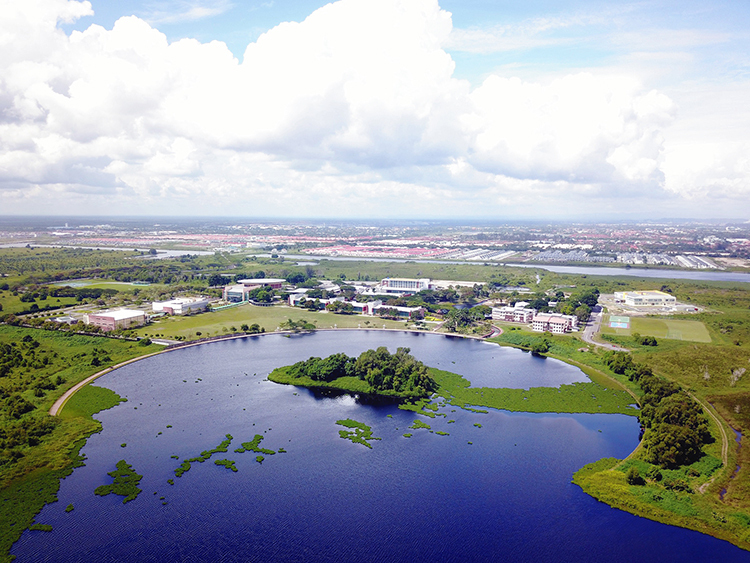 Curtin Malaysia’s sprawling 1,200-acre campus is the largest Australian international campus in the world. Distributed Learning allows students at Curtin Malaysia to learn at the same time as their counterparts in Australia. Curtin Malaysia Pro Vice-Chancellor, President and Chief Executive Professor Jim Mienczakowski.